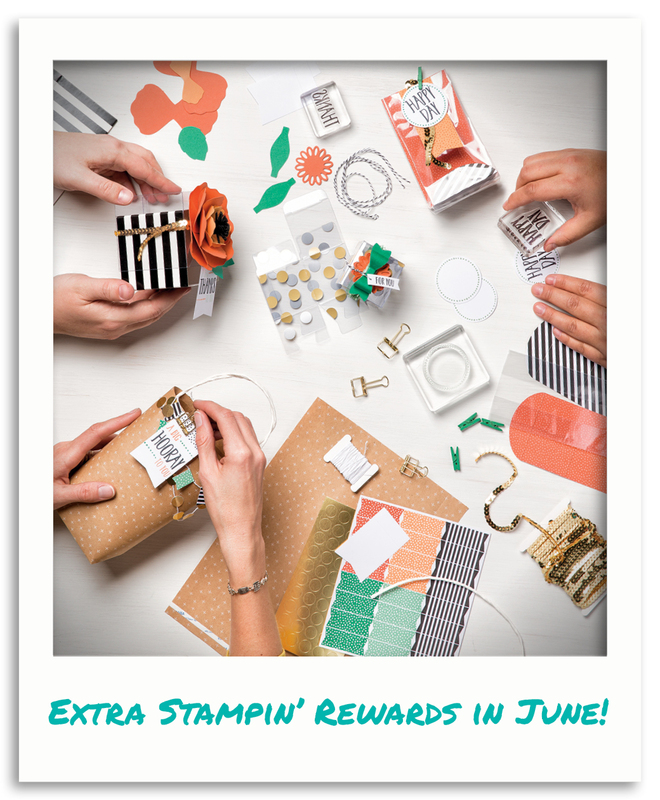 Did you know that the 2016-2017 Stampin' Up! Annual Catalogue is being released on June 1st? Do you have yours yet? There are so many new stamp sets and products and, of course the new in colours for this year. I'm really starting to love Flirty Flamingo! You'll be able to order from the new catalogue starting June 1st. If you don't have a SU! Demonstrator and live in Canada, I'd be happy to send you one, just email me. During the month of June, you will receive $40 in extra Stampin' Rewards with a $400 order or party. What a great way to check off a few more items from your wishlist! If you're interested in booking a party, email me. I wanted to share some Birthday cards using stamp sets that are not retiring - these sets will be in the new catalogue. I love Kinda Eclectic so I'm so happy it's not retiring. This card was made by Liane Binder. I don't have the Rose Garden Thinlit so I was so excited to get this card from Ellie Blake. You can't see the shimmer - Ellie has used the Clear Winks of Stella pen on the cut out rose.